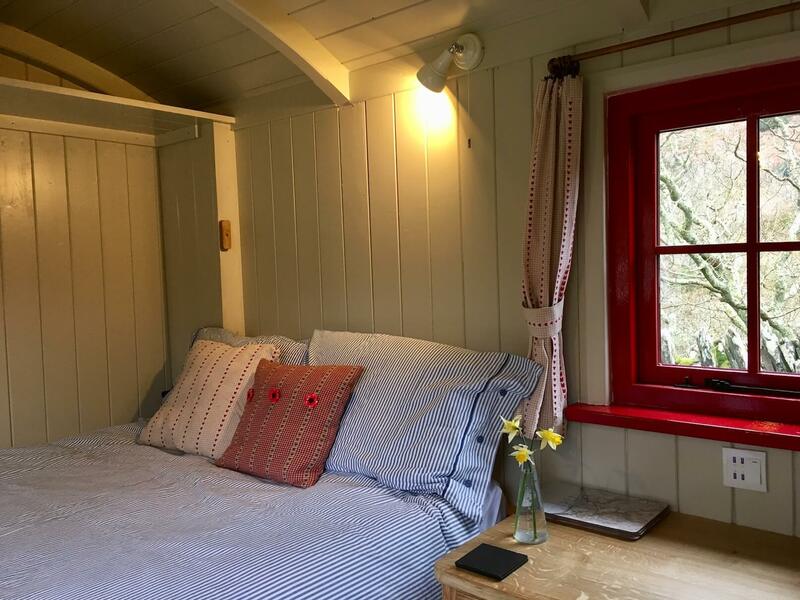 New for 2019 we are excited to have a beautifully crafted Shepherd’s Hut for couples or families looking for glamping holidays near Barmouth and Dolgellau in Snowdonia National Park, North Wales. 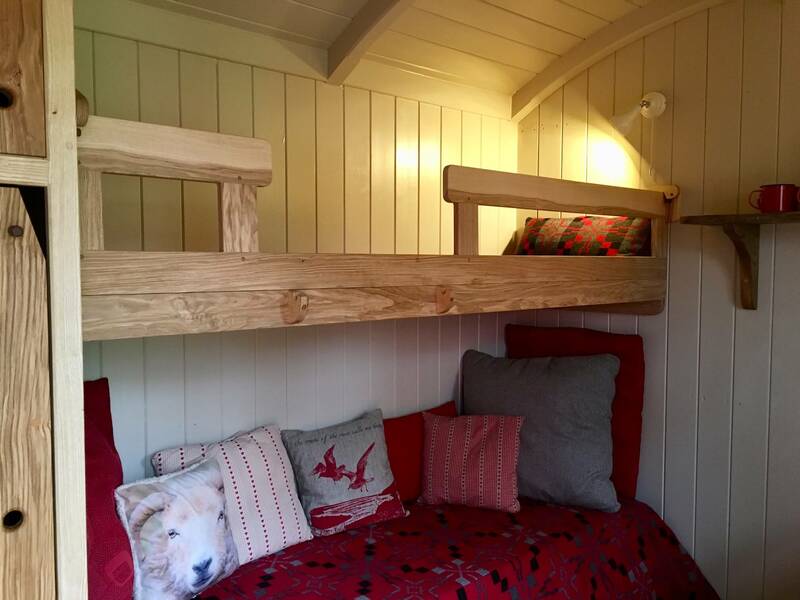 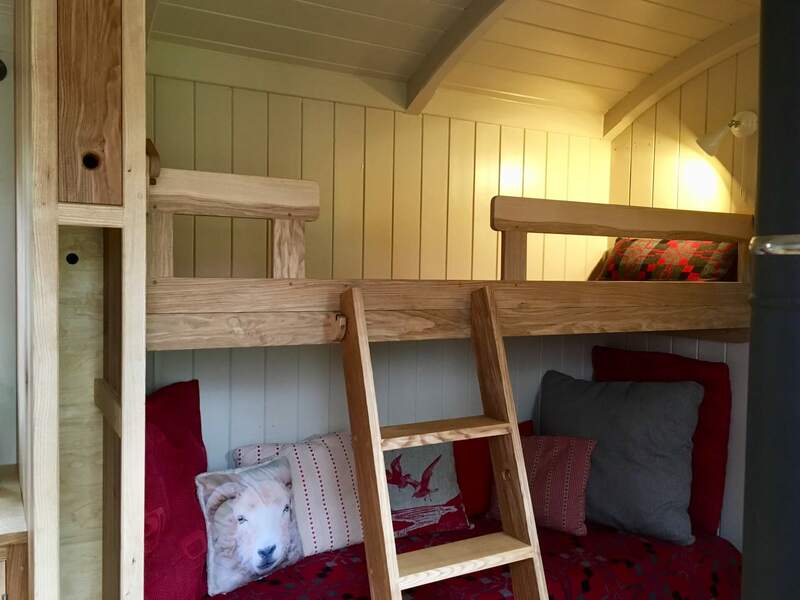 We have designed the high quality Shepherd’s Hut to sleep two in style or squeeze in a young family. 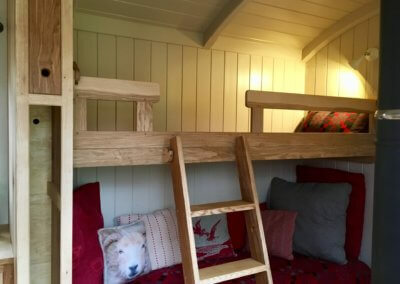 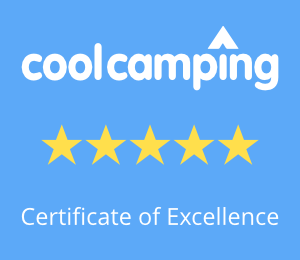 There’s a double bed with proper mattress plus a day bed for chilling out which converts to bunk beds for two children if required. 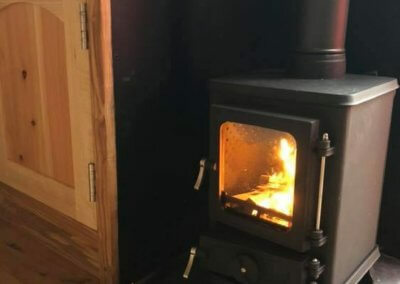 With well insulated walls and a wood burning stove, you’ll be warm and snug whatever the weather. 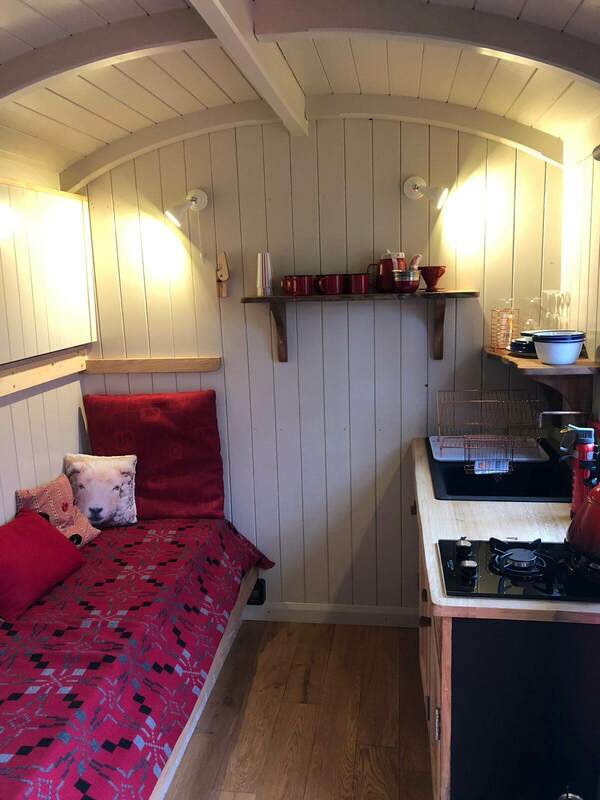 There is a dining table with seats for 4 and a kitchenette with sink and cold water tap, gas hob, fridge and all the cutlery and plates you need to whip up simple meals. 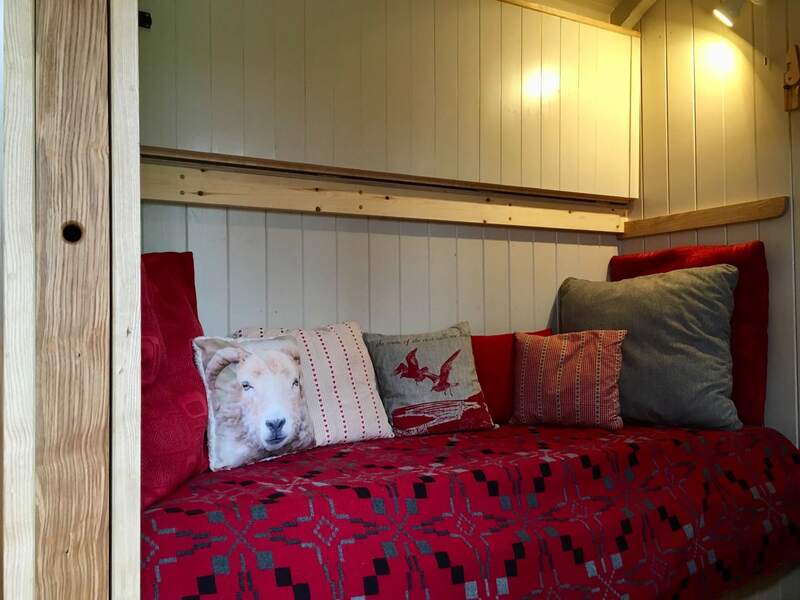 We provide bedding for the double bed including a sheep wool “Baavet” duvet made on a Snowdonia farm. 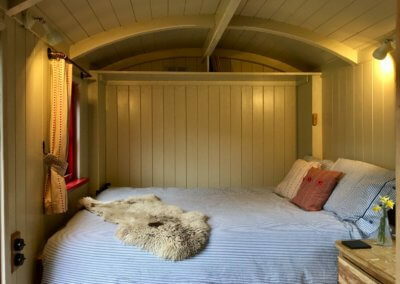 There are warm Welsh blankets to snuggle under on cooler nights. 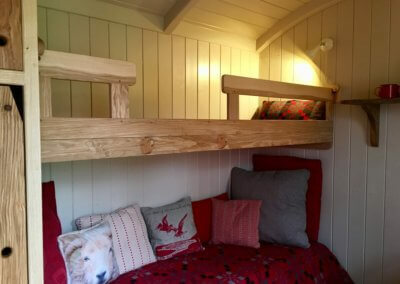 A talented team of skilled local crafts people have built our bespoke Shepherd’s Hut. 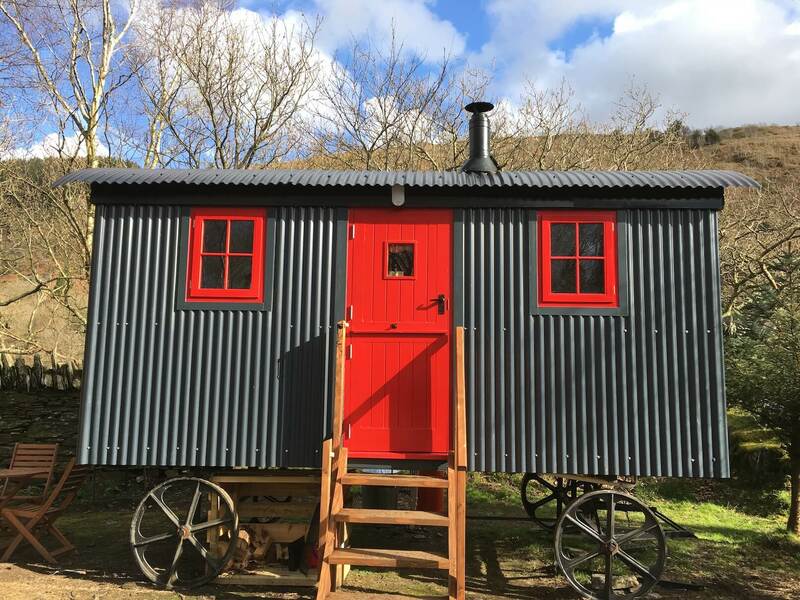 Set on sturdy authentic cast iron wheels it has a corrugated tin, slate blue exterior. 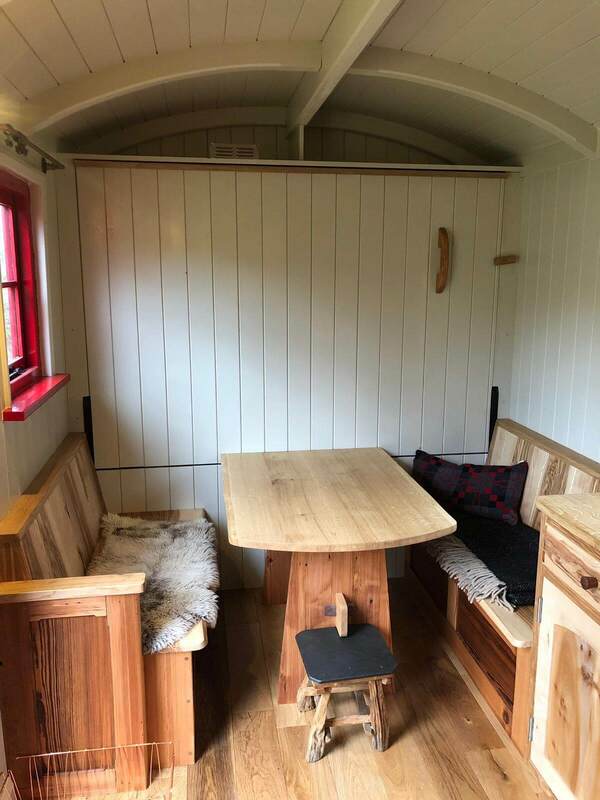 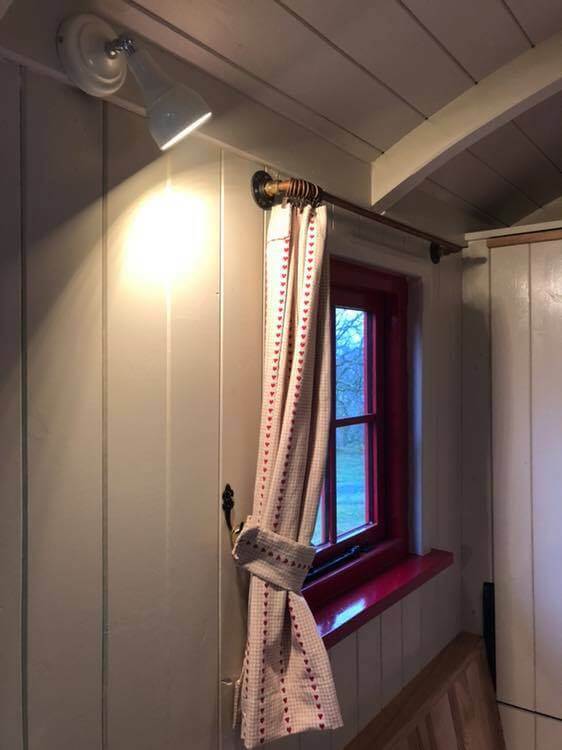 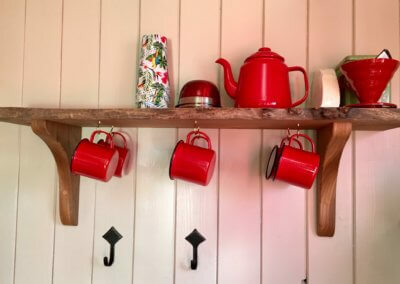 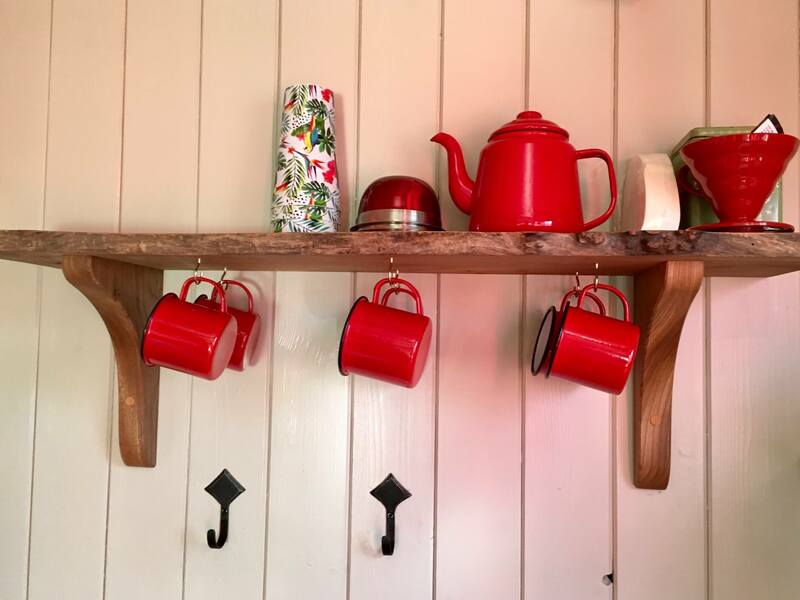 The interior fittings have been crafted from an interesting mix of Welsh hardwoods and timber reclaimed from a local chapel by our friend Dan from Adventures in Wood. 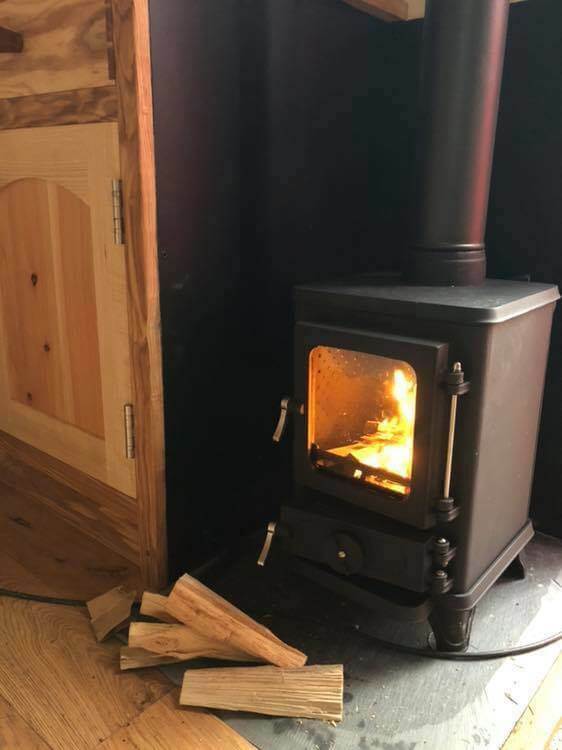 You can see photos of the build on this Facebook album. 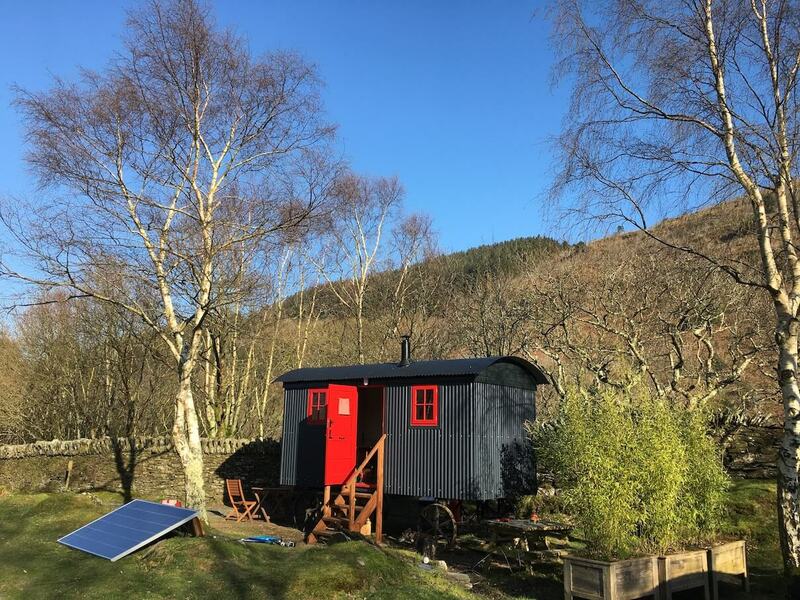 From March until November the Shepherd’s Hut is sited off grid in a sunny corner of the silver birch glade near our yurts. 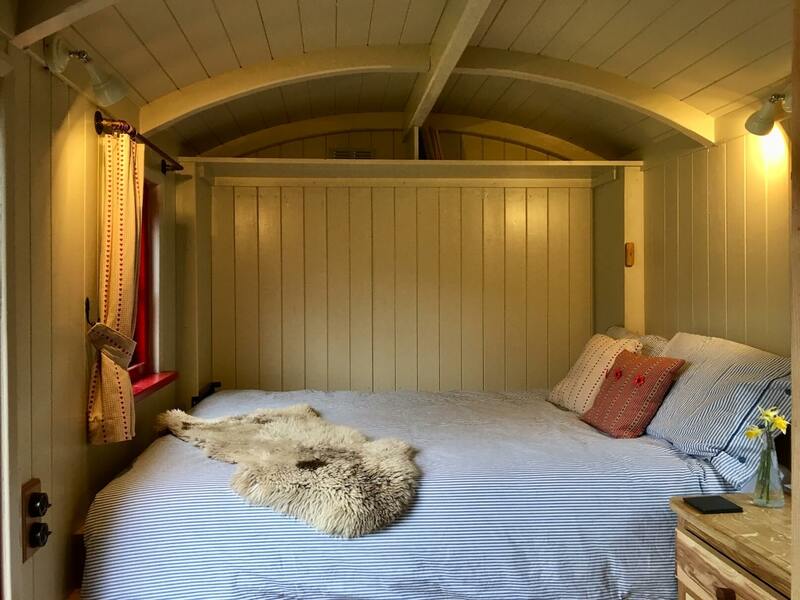 Although the Shepherd’s Hut is quite close to Tommy yurt, each has their own private area. 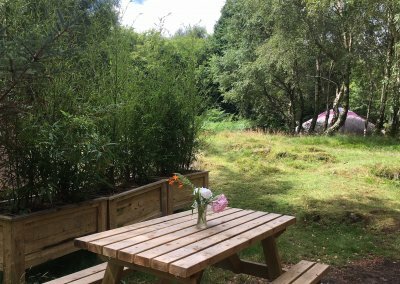 Outside there is a picnic table and fire pit for those evenings star-gazing and BBQing. 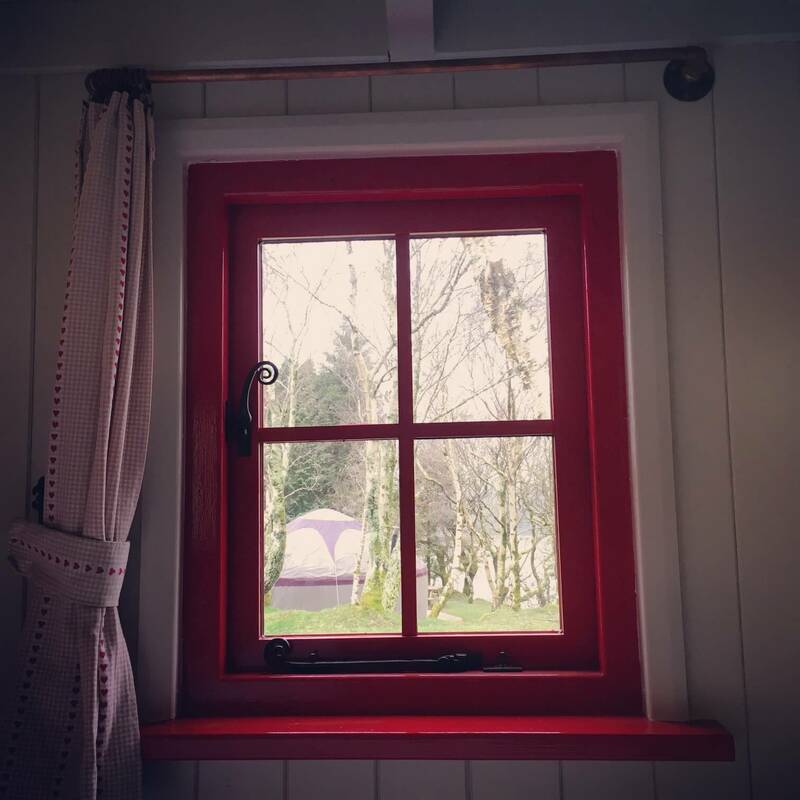 A hot shower and compost loo are just a few steps away, which are only shared with glampers in 3 yurts. 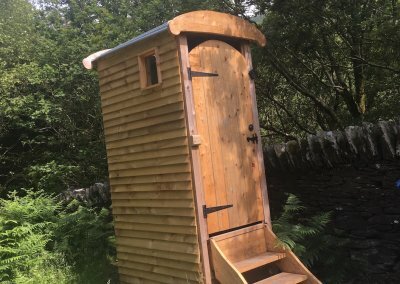 More conventional loos, wash basins and showers are shared with the rest of our campers about 100 metres away. There is space to park one car right next to the Shepherd’s Hut. 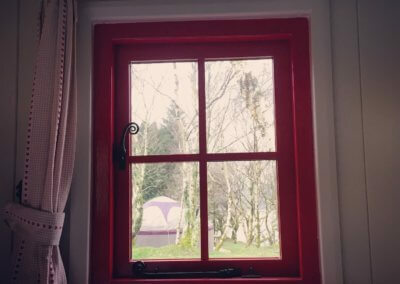 The accommodation feels private although you will see your fellow glampers nearby in our Tommy yurt and two hand-built yurts which are a little further away through the mature silver birch and oak trees. 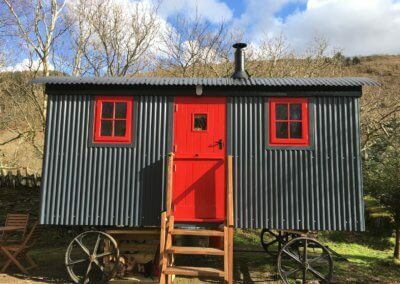 Shepherds used these simple structures to move with their flocks and stay close at lambing time. 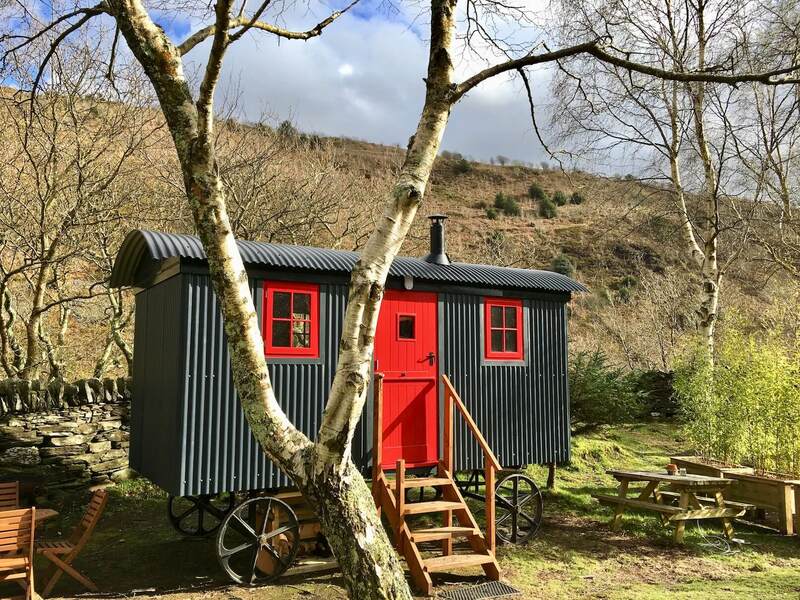 The tin huts could be towed from field to field by a horse as the sheep moved pastures. The shepherd would have slept and eaten here on the hillside, bringing weak lambs in to warm up by the stove. 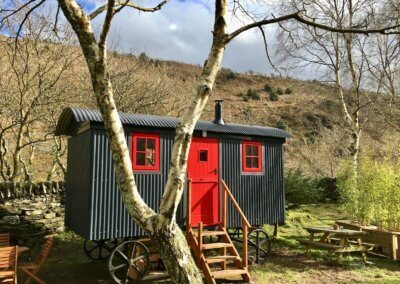 Mainly used in Wales and England in the nineteenth century, their agricultural use is now redundant – you occasionally see one fading away in the corner of a field – and the humble hut has transformed into a more luxurious beast for getting back to nature in comfort and style! 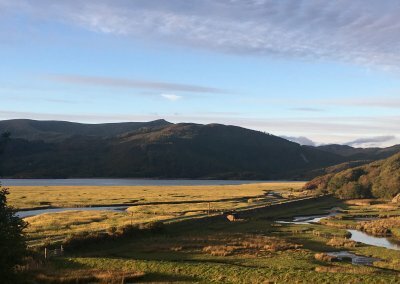 Over the winter months, you’ll see Welsh Mountain sheep on our fields. 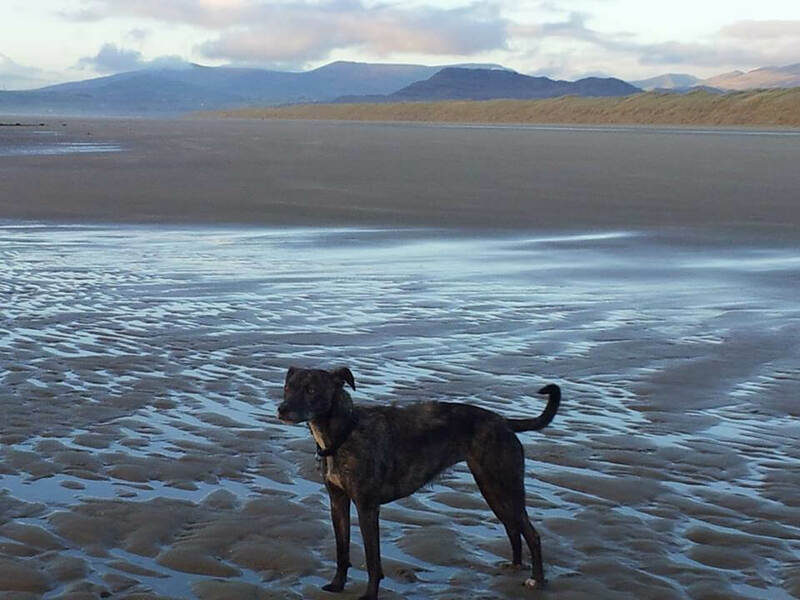 They belong to the Jones family who have been shepherding here at Graig Wen for many years. 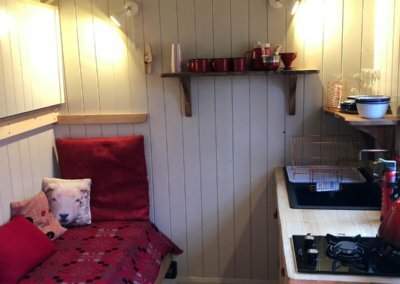 From March until November, the Shepherd’s Hut is off grid, so interior lighting is provided by a solar charged battery. 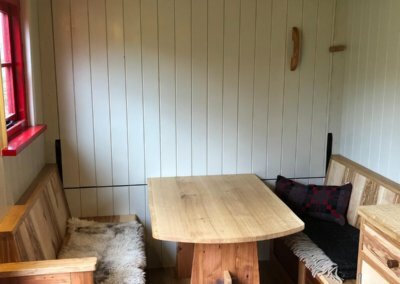 You can also charge up phones in the hut. 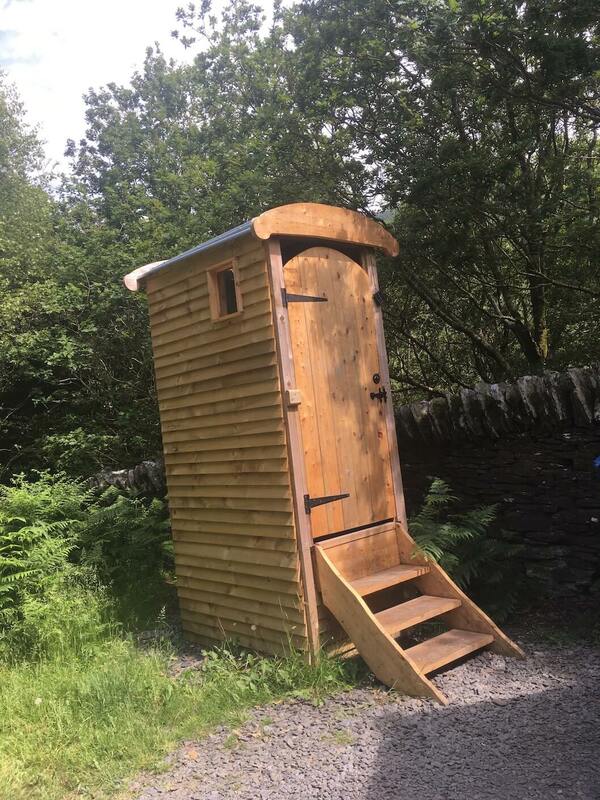 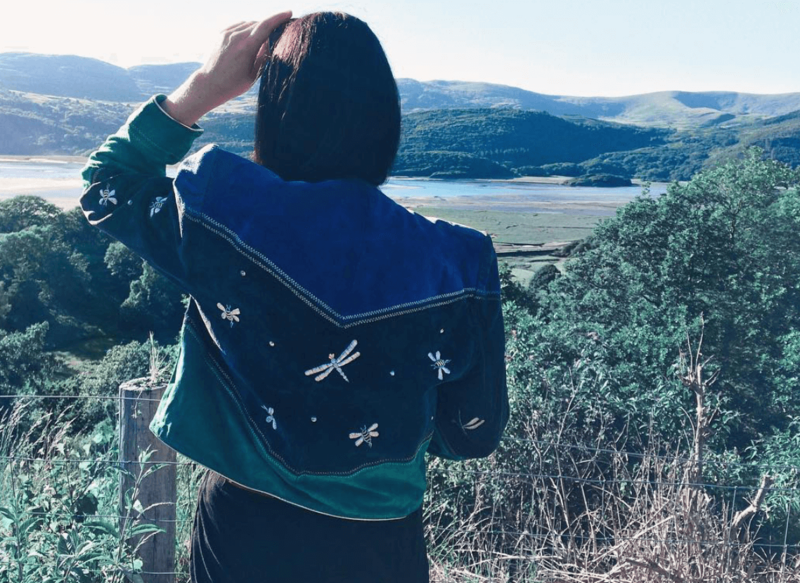 We provide you with a lantern – we are in Snowdonia National Park Dark Skies Reserve so you’ll need it to find your way to the loo at night! 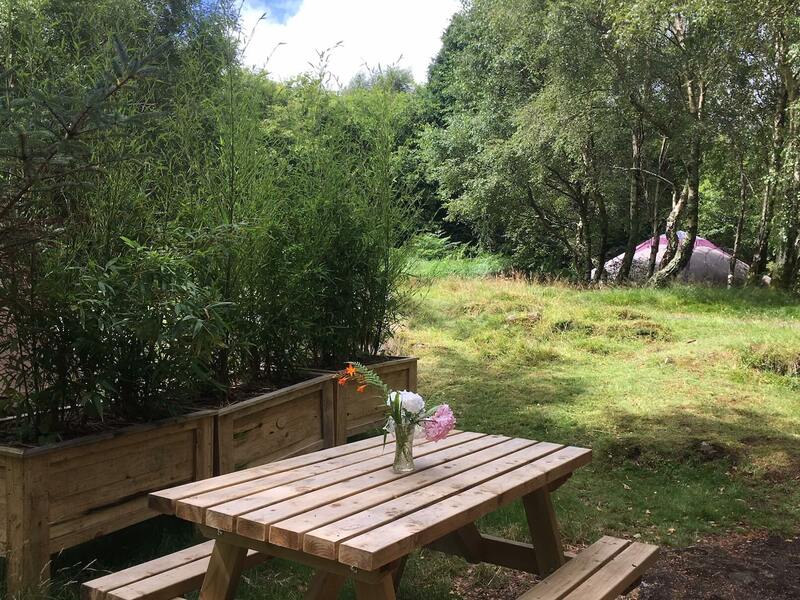 You may pick up 3/4G by the hut and there is also a wifi point near reception for those who don’t want to switch off completely! 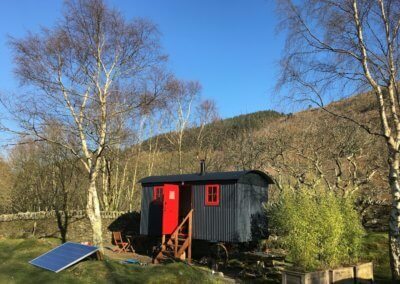 For November and December, The Shepherd’s Hut goes on the move to be closer to the facilities and electric hook ups on the touring van area of our camp site, where there are spectacular estuary views. 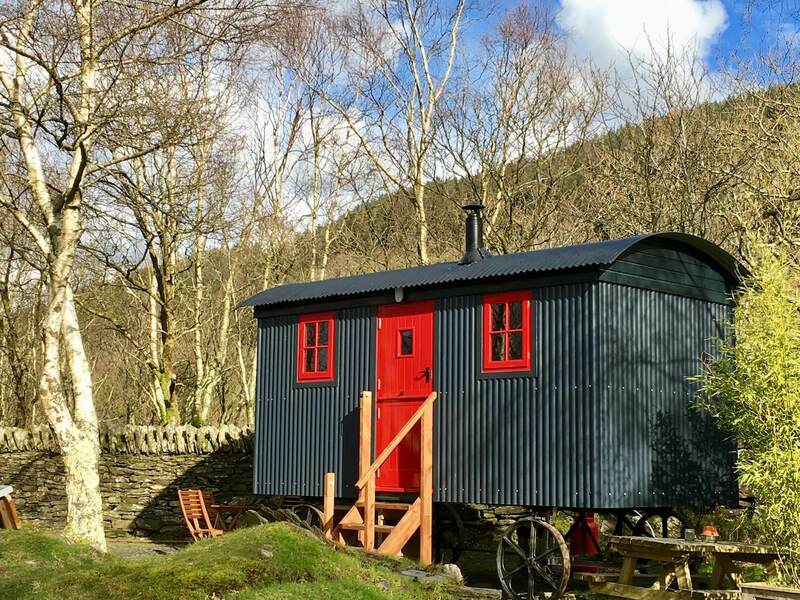 Our Shepherd’s Hut in Snowdonia is perfect if you fancy travelling light and trying a car-free holiday. 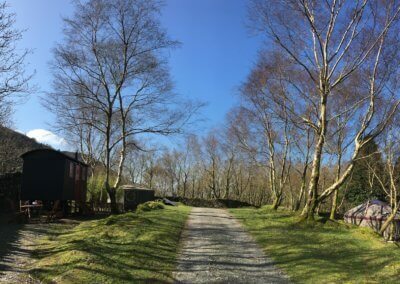 It’s easy to get to Graig Wen and get around on public transport. 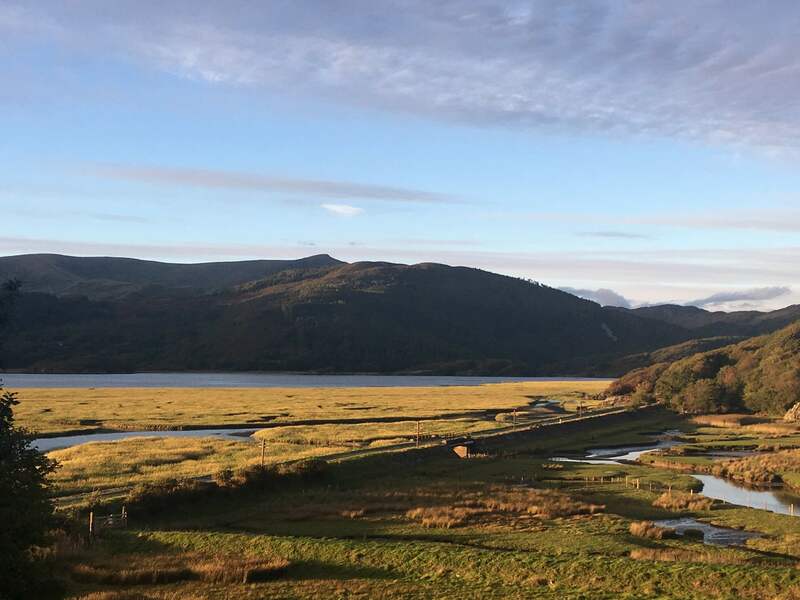 Bike hire is available on site or locally (we just have 2 adult bikes for hire) and we can arrange to collect you from the local train station at Morfa Mawddach. 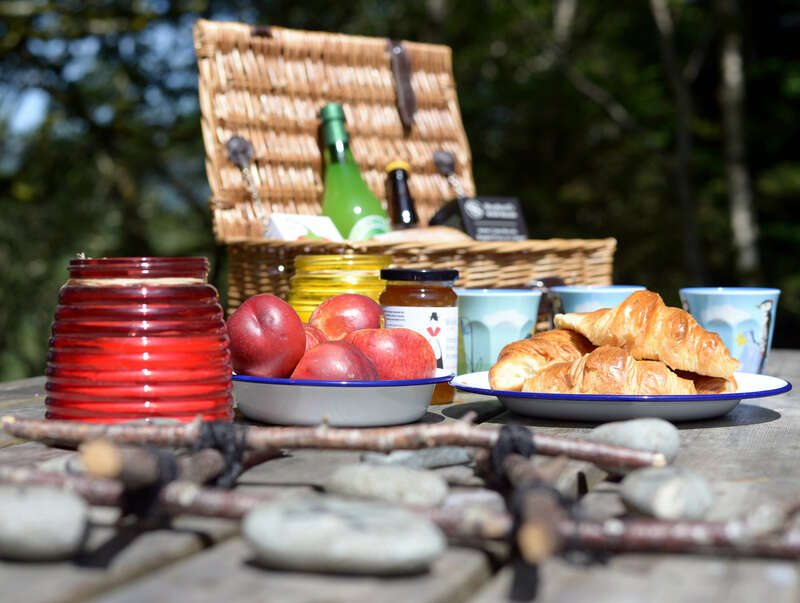 You can pre-order a breakfast hamper or freshly baked croissants. 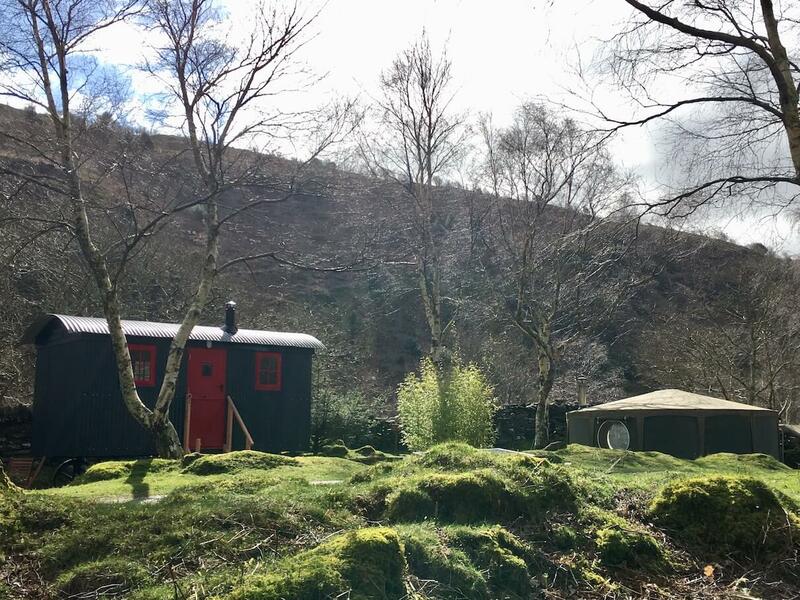 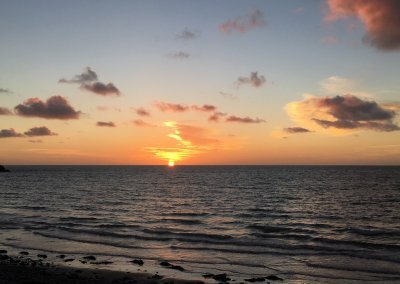 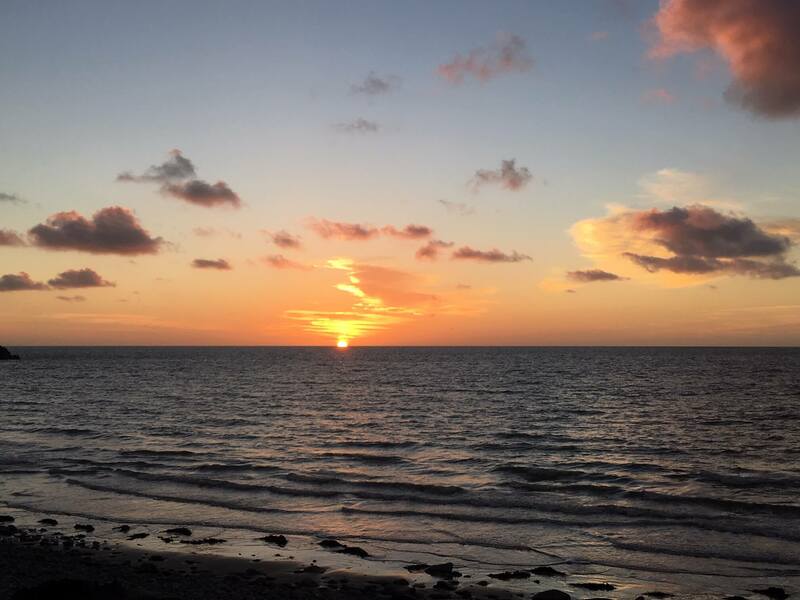 In March – end October location, there is a hot shower and nice clean compost loo a few steps away which is shared only with fellow glampers in 3 yurts. 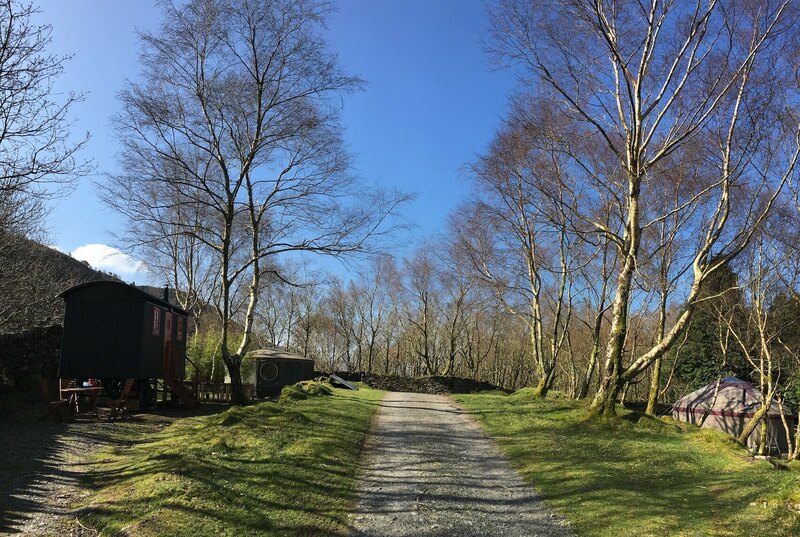 Further conventional loos with wash basins and hot water, and hot showers are about 100 metres away shared with the rest of the camp site. 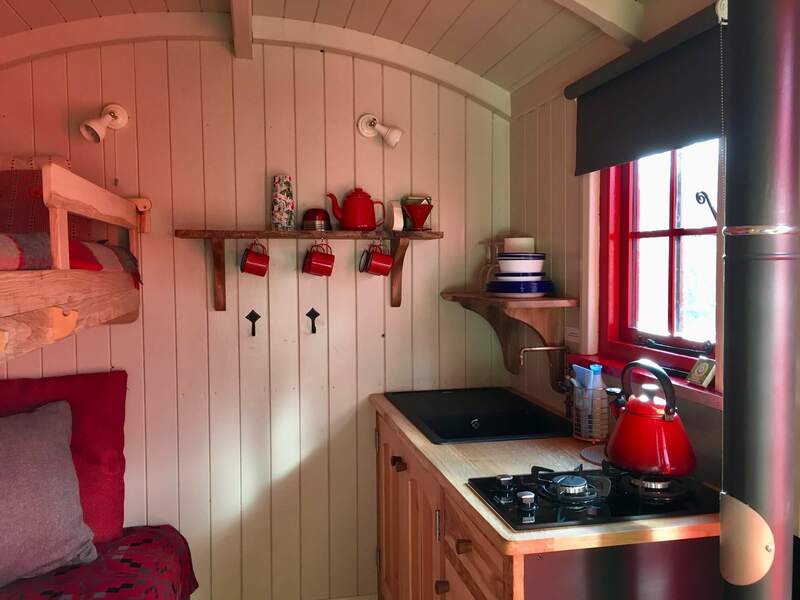 In November and December location The Shepherd’s Hut is pitched close to the conventional loos, sinks and heated showers on the touring camp site shared with the odd out of season camper. 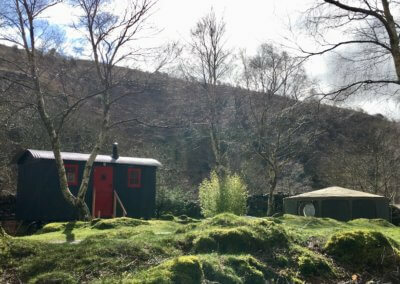 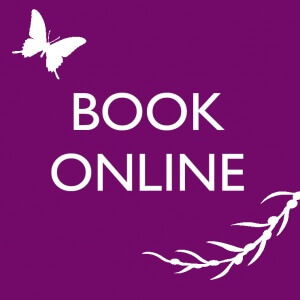 During school holidays we book the Shepherd’s Hut and yurts for 3 nights Friday to Monday and 4 nights Monday to Friday. 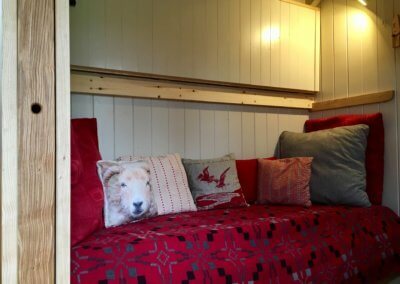 The Shepherd’s Hut is robust and will keep you dry as the wind roars around on a stormy night, but remember you are camping (albeit with added luxuries including a woodburner!) 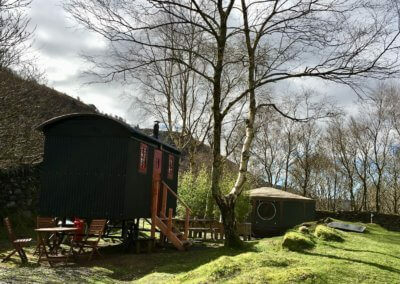 and will need to pack plenty of warm /waterproof clothing and appropriate footwear. 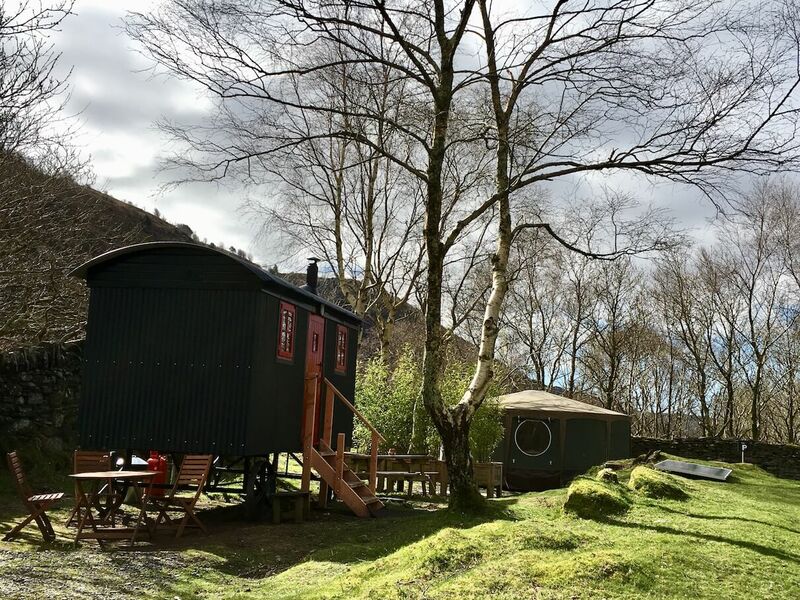 Wellies / walking boots / slippers – wellies are useful but the hut is near gravel walkways so it is not too muddy. 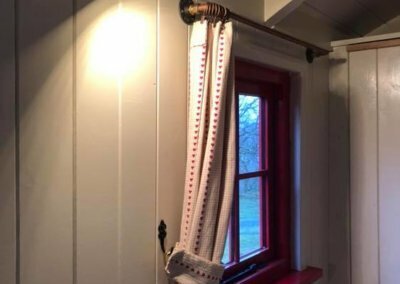 Boots should not be worn inside so bringing your slippers is a cosy idea. 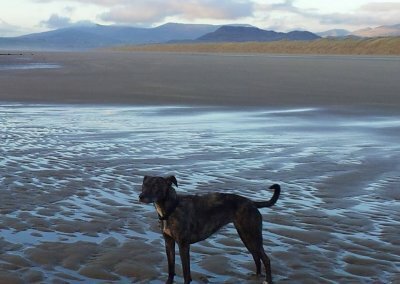 If you are bringing your dog – lead/long line, bed and bowls, dog coat for pampered pooches – see our guide to bringing your dog on holiday.